There are a number of benefits to leasing your business assets instead of purchasing them outright. Leasing is a flexible way to acquire and pay for assets as your business needs them. 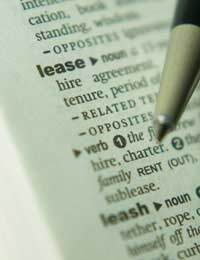 Almost every asset used in the workplace can be leased and there are different leasing options to choose from. The main factor to consider is that you only pay for your business assets while you are using them. This means that you get most of the benefits of ownership without the risk of purchase. Unlike hire purchase you will not actually own the asset at the end of the lease period; although sometimes deals can be struck if purchase is desired. With hire purchase the asset will usually have to be chosen from a certain company’s stock whereas leasing means that the choice is unlimited as any supplier can be used to acquire the desired asset. When a company takes out a lease on an asset it is a form of financing, and there are three main types of lease to consider. A finance lease means that the finance company used buys the asset and then the business pays to rent the asset from the finance company. The rental amount will cover the cost of the purchased asset and any interest and charges. This type of lease is a basically a financing option, and the business will have to pay for any maintenance of the asset. Operating leases are usually available to businesses through manufacturers. Unlike finance leases, the maintenance, servicing and upgrading of the asset is usually provided by the manufacturer. When it comes to contract hire the most popular type is transport. Vehicle maintenance and servicing will usually be provided by the hire company and the only thing that the lessee will need to worry about is fuel and insurance. One of the major factors that will be avoided with vehicle contact hire is asset depreciation. There are a number of major benefits to acquiring an asset using this type of financing, especially for a newly formed business. Disadvantages can include start-up businesses finding it difficult to satisfy some of the stipulations required for this type of financing. You also cannot gain a leased asset and then use it as security for other funding; you don’t actually own the asset so it cannot be used as a guarantee. Leased assets will also not be eligible for certain tax allowances that can be claimed on purchased assets. All of these factors should be taken into account when considering this type of financing. The terms and conditions included in contracts will vary depending on the type of lease taken. Anyone considering this type of financing option should read the contract carefully with regards to interest payments and late payment fees. End of lease options and the requirements for the lessee on servicing and maintaining the asset should also be discussed carefully. Always try to make leasing a self-financing option; this means that the profits from the asset should cover the payments of the lease. Always shop around to take advantage of best deals and interest rates available, as you would with any financing solution. Asset leasing is a large market and your own bank may be able to introduce you to reputable companies. However, banks will usually be working on commission from the companies they recommend so researching other companies should prove beneficial. Always compare other financing options such as hire purchase and outright purchase to ensure that you make the right decision when acquiring your business assets.